Discussion in 'POTW Collaboration' started by Serebii, Jan 13, 2019. This week we are going to a new favourite! Background Information - Vikavolt... hmm... hasn't made an appearance in any SM medium huh... EXCEPT THE TCG! YEAH BABY! In the long tradition of that is Pokemon, there is always an early-electric type such as Gen 4's Luxray or Gen 5's Zebstrika. For Gen 7 it is Vikavolt and... surprisingly I just realized he has made no appearances outside of the games besides the TCG. However don't discount this fan-favorite Gen 7 Pokemon just yet as his pre-evolutions Charjabug and Grubbin have made appearances. In the anime, Sophocles happens to own a Charjabug that may one day evolve into Vikavolt. In the Pokemon Adventures manga, female protagonist Moon (Selene) also owns a Charjabug that has evolved from a Grubbin and is hoped by some fans to evolve into Vikavolt as well. So why does Moon have a Charjabug? She loves poison-types and creepy-crawlies lol... she should meet Misty from the anime one day lol. Vikavolt has one of the best special attack stats. It is so ridiculously good that you literally don't need EVs invested in it as long as you have the modest nature meaning you can invest the EVs into making Vikavolt a bulky special tank with a massive default 181 Sp. Atk stat at Lv. 50. Because of this decent bulk, Vikavolt can actually be viable enough to participate in Double Battles, being somewhat tanky enough to dish out massive damage to specific targets in Double Battles similar to the powerful Psychic or Ghost-types like Alakazam or Gengar only your trading speed for bulk. Vikavolt is especially more devastating under trick-room however Vikavolt is also almost just as effective in singles being a tanky rail-gun that destroys any resistance in it's path. Even though Vikavolt can even frighten OU-class Pokemon, it's greatest weakness that prevents it from getting near OU greatness is it's predictability. Slow speed and mediocre defenses drag Vikavolt down and Vikavolt sets, regardless of stat spreads, are simple to predict and counter. Vikavolt sets are almost always pure firepower and it is easy to counter Vikavolt's monstrously good firepower with fire-types and lightning rod users which can force Vikavolt to switch-out and into stealth rocks. Even though Vikavolt is intimidating to even OU-class Pokemon, it is easy to predict and counter which is why it's actually more suitable in Double-Battles alongside a partner to cover this predictability while having more "targets" and less obstacles to deal with unless of course lightning rod. As mentioned before, Vikavolt is most effective in Doubles as it has more targets to choose than in singles where counters are more effective. The idea is simple, Vikavolt out-speeds it's opponent becoming the electric version of Alakazam/Gengar thanks to agility. However Vikavolt's greatest weakness here is again predictability. However with it's agility, it does become harder to counter in a battle of speed once successfully set-up. The question however is what third move you want? If you get energy ball, you have some good counters against ground-types but might find yourself against Garchomp which is perfect for Hidden Power Ice. However the real reason for Hidden Power Ice and Fire is to counter against certain lightning-rod users, specifically Zapdos and Togedmaru. Although Togedmaru is rare, Zapdos definitely isn't and is easily a huge threat to Vikavolt due to Zapdos having access to fire-type moves. The only reason I'm even recommending doubles, is that Vikavolt undoubtedly has a better chance of beating Zapdos in doubles alongside a helpful partner to help somewhat cover it's predictability than he does against Zapdos in singles alone and is just a great example of the difference in effectiveness of Vikavolt in two different formats. As for the items, Focus Sash and an Occa Berry are to not really help with Vikavolt's "bulk" but it's survivability which can mean all the difference for a Pokemon with extremely high special attack. Just don't try out an Occa Berry against Mega Charizard Y, trust me. You will not win defensively, only offensively with agility of course. Trick Room attacker Vikavolt. With a Life Orb it hits harder than Mega Ampharos. Vikavolt can be quite useful as an offensive Electric type immune to ground. Thunderbolt is single-target damage, Discharge is spread damage and comes from the Charjabug stage. Electrium Z is an option with Discharge so that you can also pull out a single-target electric move even without Thunderbolt. Thunder is an option for VGC with how common Kyogre is, just don't use it if you run Groudon. Bug Buzz hits Grass types for decent damage, although a lot of them are still hit neutrally because Bug is such a terrible offensive typing (Kartana, Ferrothorn, Tapu Bulu, Venusaur, etc). At least it hits Ludicolo, Lurantis, Serperior, and Tsareena, and Kartana still gets destroyed in one hit by it. Energy Ball is coverage, mostly useful to get rid of ground types like Gastrodon, Swampert, and Groudon, although it lacks the super effective hit on Garchomp and Landorus. Vikavolt is a powerful attacker in Trick Room and slower than some other staples like Marowak, Hariyama, Dusk Mane Necrozma, and Mega Ampharos, and it only has two weaknesses (as opposed to resistances to Fighting, Electric, Ground, Grass, and Steel). But it lacks a bit in coverage aside from Electric attacks. It does get Flash Cannon and Air Slash as alternatives to what I posted here, but neither are staggering and they do have relatively low base power. Charge is also an option Vikavolt gets, although its bulk isn't quite good enough to fully take advantage of it. So let's look at Charjabug. The Battery pokémon takes on an entirely different role from Vikavolt. Offensively, it is much more physical than special, but whereas Vikavolt is all about nuking things in Trick Room, Charjabug is much more of a supportive pokémon. Charjabug is quite unique in that it has bulk, offensive support, and speed control all in one. Defensive speed control Charjabug for doubles. With an Eviolite, its bulk is relatively similar to Toxapex's bulk so it will usually take several hits before going down (although it lacks recovery unlike Toxapex). And only having two weaknesses helps too. String Shot is Charjabug's most effective form of speed control, reducing the speed stats of both enemies by two stages. Protect is Protect, useful in doubles. Bug Bite removes berries and can give you some very situational recovery if you manage to steal stuff like Amoonguss's Aguav Berry, and Electroweb is a speed control option you can use if you don't need the -2, if you're Taunted, or if you also want to break Sashes and/or Disguise. Battery is the only ability Charjabug has, and it's what sets Charjabug apart from other bulky speed control pokémon like Suicune. A 30% boost to the partner's Sp.Atk is quite big, comparable to a Life Orb. Run Charjabug next to special attackers with average speed tiers like Heatran, Kyogre, Blacephalon, Tapu Fini, Tapu Lele, Mega Gardevoir, or Xurkitree. They love the speed control and they love the extra damage they can do with Battery. *Insert Byron impression eere* I LOVE VIKAVOLT! You never know what you are missing until you get a giant railgun bug. Vikavolt hits as hard as you would expect a rail gun to hit and can lay a path of devastation through an opposing team. I ran a Choice Specs Vikavolt in doubles that was to be paired with a Trick Room Oranguru. (set is not being listed as it is otherwise identical to previous Vikavolt sets). Unless you are packing an immunity, very few pokémon can survive through two Specs Discharges. That being said, Vikavolt is not a very durable pokémon -77/90/70 bulk is average at best and with Vikavolt's awkward base 43 speed that leaves it prone to being outsped in and out of Trick Room and weaknesses to the common Rock (Stealth Rocks), and Fire moves along with few resistances means that Vikavolt is easy to wear down if not outright KO. This can leave it to struggle to Wallbreak without proper team support (Sticky Web, Tailwind, Trick Room) to fix it's speed problem. Vikavolt also lacks offensive setup moves outside of Charge (though a Charge Gigavolt Havok is an impressive one time nuke) which is gimmicky at best, so dedicated Special walls will stymie Vikavolt. Vikavolt can run Charge Beam as an offensive setup move, although it's not quite bulky enough to take advantage of it. I think Mega Ampharos does the setup game better as a slow electric type. Mega Ampharos has a lot more bulk (although it also has more weaknesses), and has Cotton Guard (while Vikavolt has Iron Defence) and both have Charge and Charge Beam. Based on its appearance, Vikavolt is surprisingly slow. This comes as a surprise if you guessed its stats solely on its design (and its type since most electric types are relatively fast). 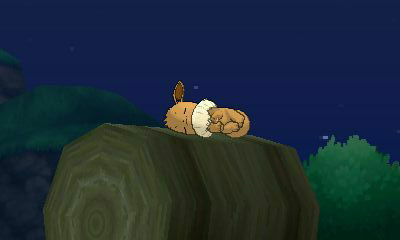 Furthermore, it transitions from a physical attacker to a special one after evolution. While losing 12 Attack, putting its Attack at 70 does hurt, it isn’t entirely unusable; although it makes sense to use its much better Special Attack. 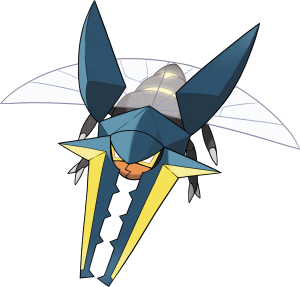 You can make a case for using Dig on Vikavolt, though it is essentially a gimmick. The only other Ground options it has are Mud Slap and Mud Shot, which are pretty weak. Since Vikavolt has Levitate, it will still not be affected by Earthquake or Magnitude while underground. Also, having a period of time where you can’t be hit is helpful for a frailer Pokémon like Vikavolt. As said before, this is essentially a gimmick. Unless you really want a way to deal with Fire types, Energy Ball is the better option. It is a possibly viable option on Charjabug, but it doesn’t benefit from the immunity to EQ. The only other Ground options it has are Mud Slap and Mud Shot, which are pretty weak. But Mud Shot hits Magnezone very hard and also slows it down, and other special moves Vikavolt learns are resisted by it, so it is a decent choice. Vikavolt also resists both of Magnezone's STAB moves. Honestly it's not a bad idea as long as you remember VIkavolt's role is essentially to take out specific targets.